We are limited by our expectations, by our habits of perception. Some of us know that there is more to reality than we have permitted ourselves to experience. There are other worlds, very different from the one with which we are so familiar - but how to we access those worlds? Where is the doorway that leads to that expanded reality? How do we open it? 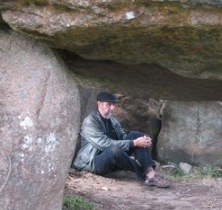 Shamanism is the name which has been to an assortment of practices and techniques used by indigenous peoples around the world for opening this door. Their worlds, their realities, are already quite different from the one we live in as participants in the belief system known as “Western Civilization,” but for them, as for us, there are always new doors - new areas of consciousness to explore. If we look carefully enough, it is not difficult to find obvious Shamanistic elements in the cultural traditions of even the most “developed” countries of the western world. 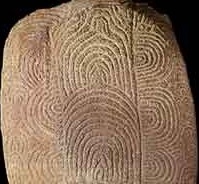 Scratch the surface and Shamanism is there - in the folk stories, in the heroic legends, in the half-forgotten myths. 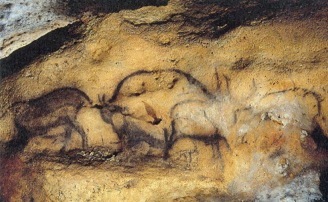 Evidence for Shamanic practices can be found in 30,000-year-old cave art and carvings from the Paleolithic Era. Shamanism has been around as long as we have - it is part of the heritage of all humanity. Archetypes are universal thought-forms which can be found in all human cultures, present and past. The word is Greek in origin and was first invented by the philosopher Plato, who used it to describe the “ideal forms” of perceived objects. Carl Jung, a founder of modern psychology, discovered that the symbols and images which appeared in the dreams and artwork of his patients were recognizable from folklore and mythology around the world. He called these symbols “archetypes” and suggested that they reflected innate concepts which are present in the unconscious of all human beings and are used by each individual to interpret and understand their own unique experiences. Archetypal symbols, then, constitute the language spoken by the soul. They resonate for us at a much deeper level than the mundane symbols of the everyday words and phrases we use to navigate our way through waking life. Shamanism, like the dreams which visit us each night, uses archetypes to give us access to profound levels of knowledge - knowledge which comes from a place beyond the limitations of the superficial mask of personality. Across space and time, shamanic practitioners from different cultures have used many techniques to move out of ordinary consciousness and into the worlds beyond. Fasting, sleep deprivation, ecstatic dance, chanting and prayer, deep meditation, ingesting psychotropic substances, and even natural disease processes have been used voluntarily and involuntary to trigger the onset of altered states of consciousness which give access to archetypal experiences. According to such scholars as Michael Harner, however, the most widespread technique is sonic driving. The term “sonic driving” refers to the repetitive use of sound (drums, rattles and/or voice) to hyperstimulate the brain and push it into “non-ordinary states of consciousness.” Among the Evenki, the Siberian people from whose language the word “shaman” has been borrowed, the drum is called “the shaman’s horse.” Scientific studies conducted by means of electroencephelography have shown that the electrical activity of the brain tends to produce different dominant frequencies depending upon the brain owner’s state of awareness. Normal alertness corresponds to a brain wave frequency of 12-30 cycles per second - the so-called “beta” state. A frequency of 8-12 cycles per second indicates a more relaxed “alpha” state. As the frequency decreases to 4-7 cycles and then to below 4 cycles per second, the brain descends into drowsiness and sleep - the “theta” state and “delta” or dream state. A steady drum and/or rattle rhythm of 220 to 210 beats per minute tends to entrain the brain to lower its internal frequency in order to match the external stimulation. Once the brain waves drop below 4 cycles per second (240 beats per minute), dream symbols and archetypal messages pour forth spontaneously. In ancient times and among indigenous peoples, shamans filled and continue to fill the roles of doctor, lawyer, philosopher, priest, scientist and psychotherapist. The people of their community consulted them to determine the cause of the latest outbreak of disease, the location of game for the next hunt, the will of the gods regarding the fate of the tribe. In our modern world, all of these occupations are taken by highly trained professionals. So what can we really hope to learn from these antiquated and unscientific practices? In my own practice I have worked with medical practitioners to address their own serious health issues. I have helped experienced MBA’s develop creative new product ideas. I have worked with graduates of top universities to help make critical life decisions. The primary concerns of residents of our modern world, just as for those of the Paleolithic and Neolithic Eras, are essentially the same. We want to guarantee health for ourselves and our families; we want to satisfy our basic material needs; we want to preserve the integrity of social relations with one another; we want to protect ourselves and those we love from known and unknown dangers; and we want to fulfill our life purpose on this planet. Shamanism provides us with the inspiration, insight and encouragement we need to accomplish these goals. SHAMANISM is a suite of traditional and modern practices which awaken awareness of our innate ability to experience an expanded set of realities. SHAMANISM is an important component of the spirituality of indigenous cultures all over the world and traces of it are preserved in the traditions of the great civilizations of Europe, Asia, Africa, and the Americas. SHAMANISM makes use of techniques which are simple, powerful and effective, which is why they have survived for so long. SHAMANISM is used in traditional cultures to communicate with nonphysical realities in order to bring guidance and healing to members of the community. A SHAMANIC JOURNEY is a voyage through levels of consciousness rather than through space. A SHAMANIC JOURNEY is similar to a waking dream. A SHAMANIC JOURNEY uses sound (drumming, rattling, chanting, etc.) to trigger an alteration in awareness, which can result in inspiration and productive insights. A SHAMANIC JOURNEY provides space for visioning and transformation. SHAMANIC COACHING applies the ancient technique of the shamanic journey to generate unexpected solutions to the challenges of modern life. SHAMANIC COACHING allows you to access your own inner resources to overcome blockages and exceed past limitations. SHAMANIC COACHING engages our innate abilities to dream, to create images and metaphors, to reach out with a hidden part of the mind. SHAMANIC COACHING uses a tried and true process which has been in continuous use since the birth of mankind. According to Einstein, problems “cannot be solved at the same level of thinking which created them” - SHAMANIC COACHING opens you up to different levels of thinking. © 2010 Michael R. Dilts. All rights reserved.